SQL where statement is also known as where clause which is used to retrieve data with a condition. If the table of the database will fulfill the statement then you will retrieve the data otherwise it will raise an error. 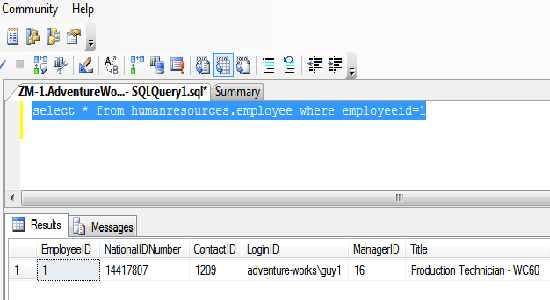 In the given example where clause is used to retrieve the employee details whose employee id is 1 so it only displays only one record. The output is given for your better guide so try to run the given command in your system and match the output. In this chapter, you have learned about where clause or statement so try to use yourself. In the next chapter you will learn about AND & OR statement.